Being a vegan is much more than just watching your diet. It affects all areas of your life including what you wear. You only have to take a brief look at the history of shoes to realize they are often made out of animal products such as leather and suede. As a true vegan, this is obviously something you want to avoid. In recent years there has been a considerable increase in the popularity of vegan shoes. These ethically made are answer the problems many vegans face and are providing a new trend of cruelty free fashion. If you’ve already been enjoying the vegan diet, then it’s time to take things up a notch and enjoy the vegan lifestyle as well. To get things started, let’s take a look at what vegan shoes are and how they’re so different from the shoes you might be wearing right now. As you’ve probably discovered from researching footwear brands, there are many companies out there that don’t abide by these vegan laws. Instead, they’ll often use leather, suede, and other animal products to create their shoes. When checking if a shoe manufacturer is vegan or not, there are several things you should check before purchasing them. The first is if they use any sort of leather in their shoes. Many brands, especially ones that focus on dress shoes and boots will use real leather as it gives them an “authentic” look and feel. It’s also a fairly inexpensive material that is relatively waterproof and sturdy. For those of you that don’t know, leather is made from animal skin with the most common animal being cows. However, in recent years many footwear brands have started to ditch traditional leather in favor of new materials such as vegan leather and faux suede. As you’ve probably guessed from its name, vegan leather is just leather that isn’t made from animals. How? By using plastic-based materials such as polyvinyl chloride (PVC) and polyurethane (PU) to create materials that both look and act like leather. One of the most popular types of leather made from plastic is called synthetic leather and is commonly used as an alternative to real leather. Synthetic leather is 100% cruelty free and doesn’t contain any animal by-products. Most of the shoes on this list will contain some type of synthetic leather instead of the real stuff. Not only does this make them vegan and cruelty free, but other benefits include the shoes weighing less and usually being cheaper. With so many vegan and cruelty free footwear brands on the market, there are plenty of places you can go to buy your vegan shoes. The obvious and most convenient is Amazon.com as they are a global marketplace that delivers worldwide. Not only do they stock popular brands (that’ll you see later on), but they also stock a range of smaller brands that deserve the same if not more recognition and popularity for their work. We’ve handpicked all our favorite shoes that stand out for their style and manufacturer. 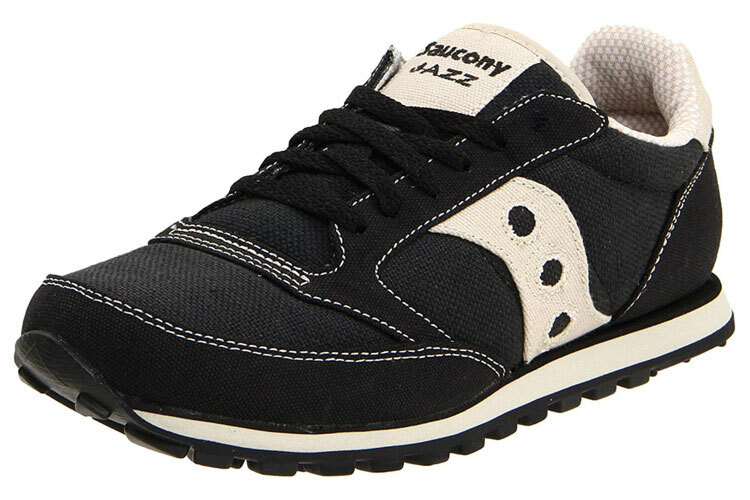 These unisex sneakers by Saucony are the perfect casual sneaker to go with any style you want to pull off. Ideal for everyday use, including running, these sneakers are made from a manmade and lightweight canvas material that makes them incredibly soft and flexible. They also feature a rubber sole with an impressive grip that puts other shoe manufactures to shame. With no leather or animal by-products anywhere to be found, you can rock these sneakers knowing no animals came to harm in the making. Available in over 15 different unique colors, there is literally a style for everyone. 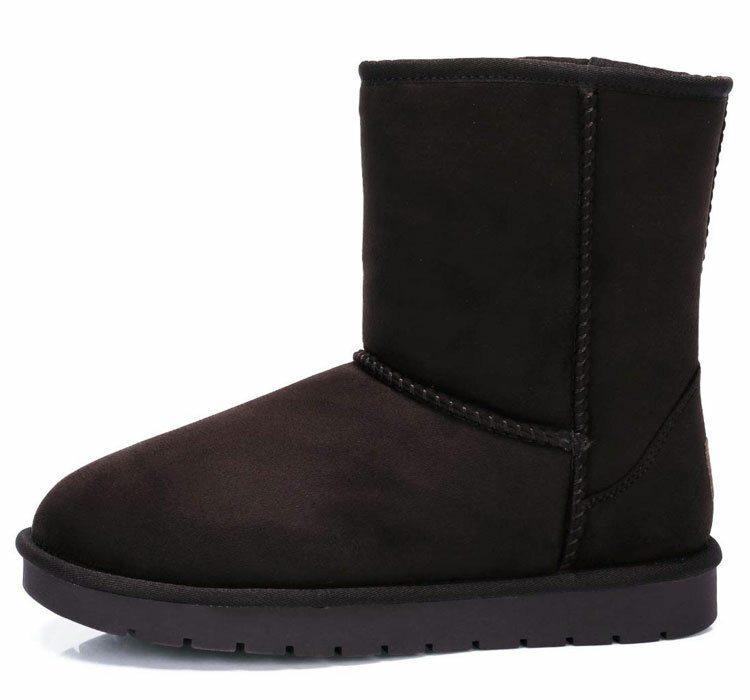 Many customers have praised them for their great fit, excellent color range, and comfort. If you’re looking for some multi-purpose vegan shoes then these tick all the boxes. 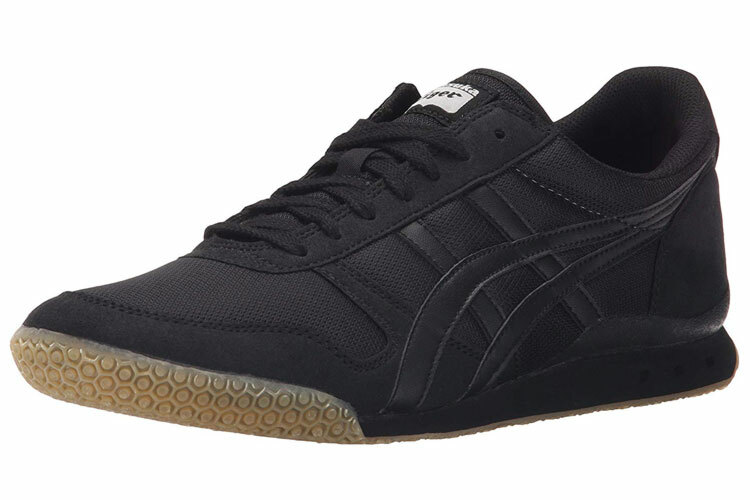 If you’re looking for something more sporty to go well with your active lifestyle, then these sneakers by Onitsuka Tiger are an excellent match. Made entirely out of synthetic vegan leather and breathable fabric, these sneakers have amazing flexibility while also offering excellent support around the ankle and an anti-slip rubber sole. Suitable for running, weightlifting, boxing, or whatever sport you enjoy, these sturdy unisex shoes are incredibly popular with the vegan community. With over 20 different color styles to choose from, who said vegan shoes have to be dull and boring? Unleash your inner beast with these carefully crafted cruelty free sneakers. Now for something slightly different than the other sneakers you’ve seen so far. These shoes by Native might look like they have holes in them, but don’t worry they’re meant to be there! Designed to be multi-purpose and water-friendly, these funny looking shoes are basically hi-tech sandals. In addition to being 100% cruelty free, the manufactures of the shoes also encourage you to recycle your shoes once you’ve finished using them. Simply request a free prepaid shipping label, and you can send your shoes away to be recycled. All the shoes are then ground down and reprocessed into materials that can be used to build community playgrounds. What’s not to love? Not only are they vegan, but they also help save the world while building new playgrounds. If you’re looking for ethical footwear, then these water-friendly definitely top the list. Hate them or love them, there’s no denying that Crocs are a bold fashion statement. There’s also no denying that Crocs are vegan. Made from 100% synthetic plastic including the sole, there is no leather, suede, or animal-by products to be found anywhere on these shoes. 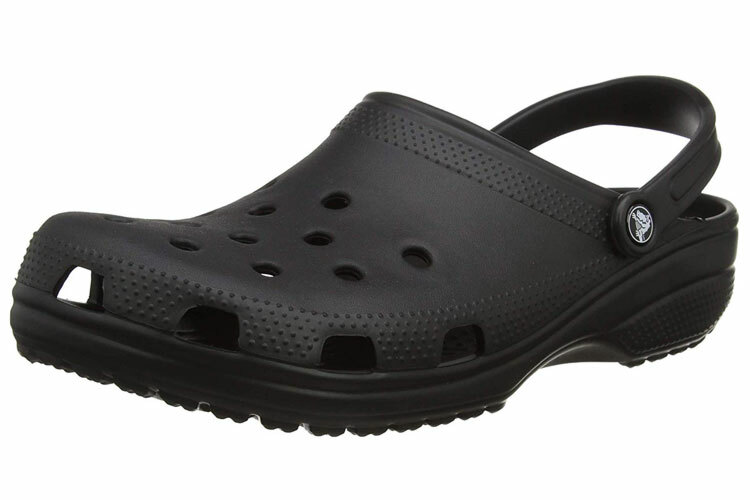 If you’ve never thought about buying Crocs before, then you definitely should. Not only are they incredibly comfy and massage your feet as you walk, but they can also be used for a range of different purposes. Water-friendly and even popular with medical staff including nurses and surgeons, these versatile shoes are sure to find a home in your lifestyle. Currently available in over 33 distinctly different colors, you’ll be spoilt for choice when it comes to picking your pair! Looking for some shoes that can be worn to both casual and formal events? 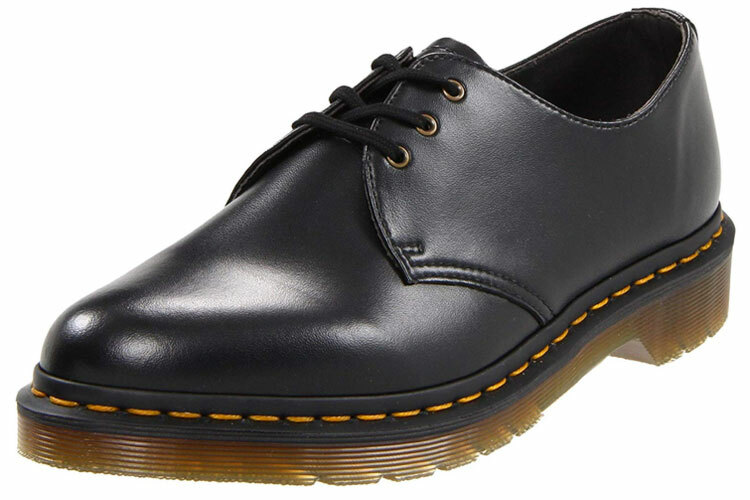 Then these unisex Dr. Martens are precisely what you’re looking for. Featuring a .25-inch platform and synthetic sole, these shoes can be worn to any occasion, and you’ll blend right in without looking too overdressed. Strikingly similar to traditional shoes, these Dr. Martens are made out of synthetic vegan leather and similar materials to ensure no animals are harmed during their assembly. If black isn’t your color then don’t worry, they are also available in Cherry Red and Red to bring some extra color into your life. If you don’t want to waste your time tying laces every day, then these vegan slip-ons by Vans are a must own. Featuring a full canvas construction and rubber sole, these classic shoes are great for wearing around the house, outside, or even for skateboarding. Made by the legendary shoe makers Vans who have been in business for over 50 years, these guys know a thing or two about making functional and stylish shoes. 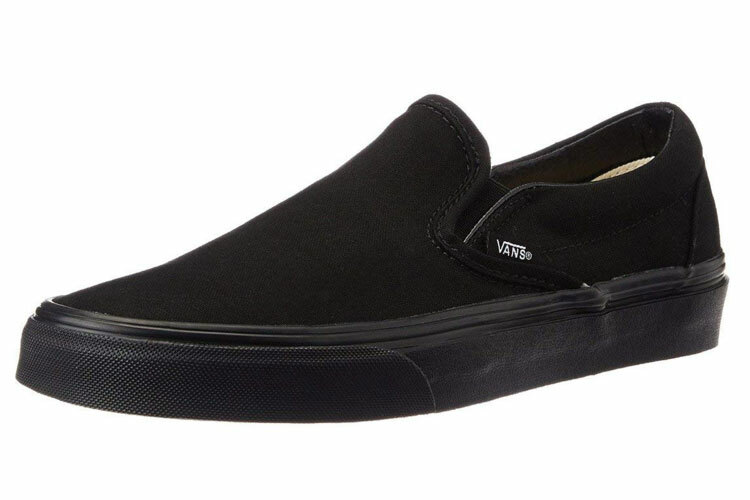 No matter if you’re a skateboarder or not, these vegan slip-ons go with any style and are great for the summer months. With plenty of different colors to choose from including the classic checkerboard pattern, you can look cool and feel good knowing your shoes are 100% cruelty free. Sometimes keeping it simple is the best. Certain sneakers can be a bit too much and too distracting for the style you’re trying to pull off. Keep it simple with these all canvas classic sneakers from Superga. 100% canvas with a synthetic sole, these sneakers are the perfect lightweight and flexible footwear for the summer. Without too much padding and layers, these shoes allow your feet to breathe which is precisely what you want in those hot summer months. 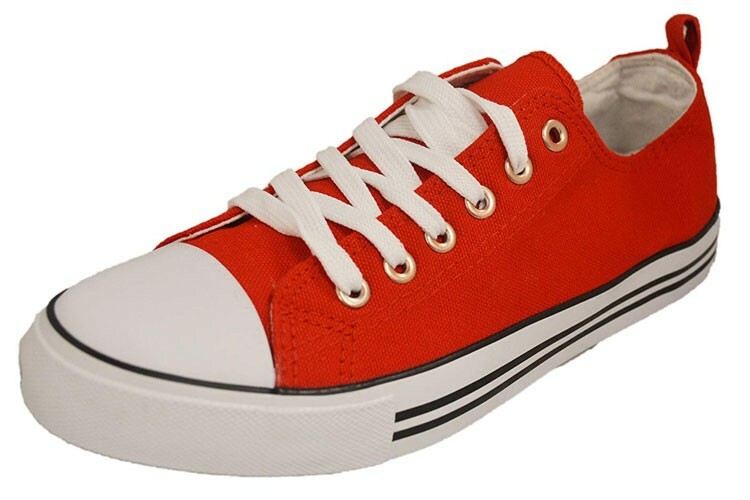 Available in lots of vibrant and colorful colors, these vegan sneakers will be your favorites during those hot summers. Every man needs a good set of dress shoes for those special occasions. Whether it’s a wedding, a fancy meal, or a job interview, having a nice pair of formal shoes is crucial. The problem with most dress shoes is that they are made from real leather, aka dead animal skin. As a vegan, this is obviously not cool and is something you should be avoiding at all costs. Instead, there are plenty of cruelty free alternatives out there that use vegan leather that has been manmade. 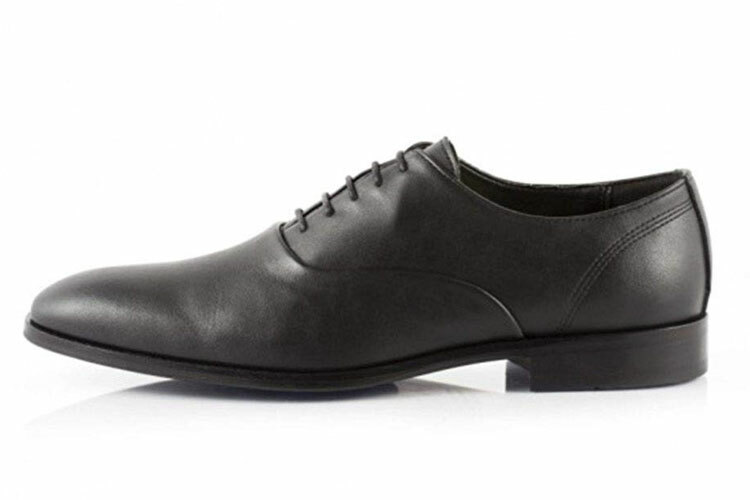 These formal shoes by Gallery Seven, are a great example of a vegan dress shoe. Made from vegan leather (aka synthetic leather) and breathable fabric, you’ll have a hard time noticing the difference. Choose from a range of different styles including wingtips, toe caps and bike toe finishes along with a nice palette of unique colors. If you’ve ever bought TOMS shoes before, then you should know how much of an ethical company they are. 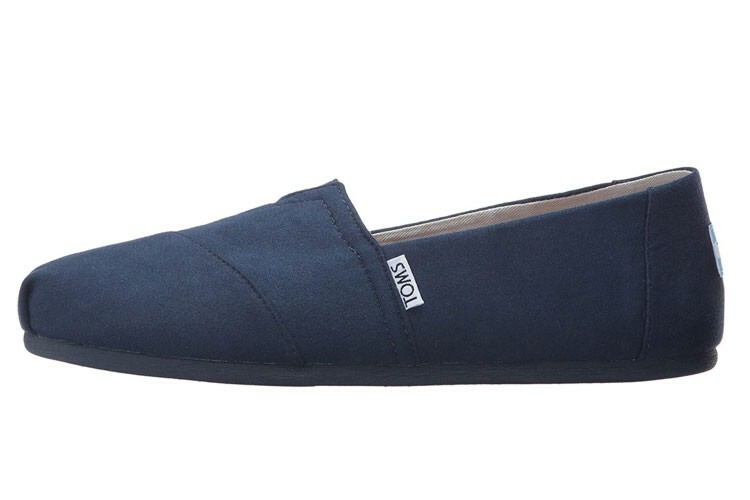 Dedicated to creating cruelty free and eco footwear, TOMS has an excellent range of vegan shoes that don’t contain any animal by-products or materials. 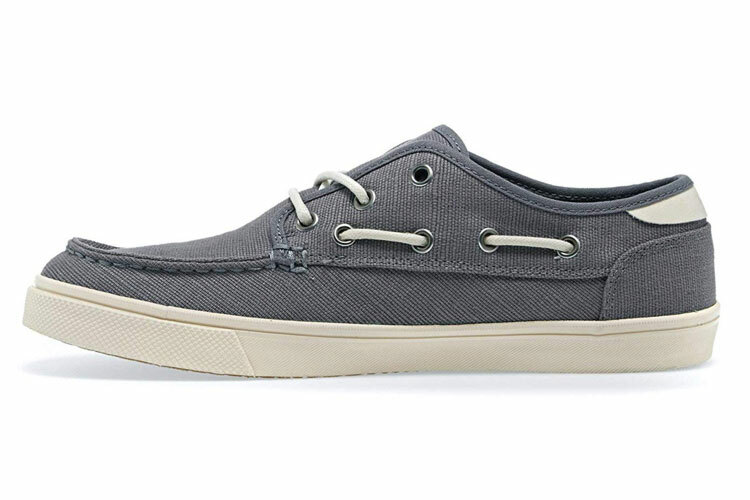 These Dorado boat shoes are an excellent example of how all shoes should be; 100% canvas made, lightweight, flexible and breathable. With 4 vibrant colors to choose from, these shoes are a must have for your wardrobe. TOMS also operates its One for One scheme in which the company will donate a pair of shoes to children in need with every purchase you make. Not only are their shoes vegan, but they also have great company ethics. 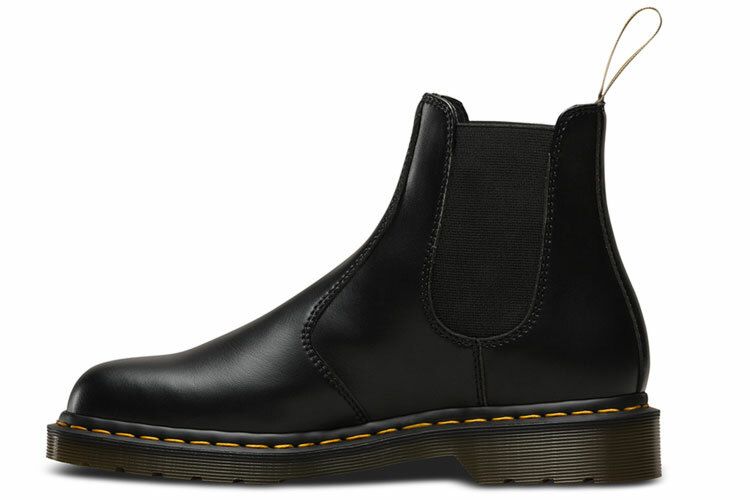 Chelsea boots are a growing trend in men’s fashion and these boots by Dr. Martens are the best you can buy. Known for their durability and distinct style, Dr. Martens create a range of vegan boots and shoes that are very popular within the vegan community. Made entirely from synthetic vegan leather, these boots are made with vegans in mind and don’t use anything that could be considered animal. If you’re still not convinced that they are vegan, then check out the white heel hoop. Dr. Martens only put them on their vegan styles to confirm everything used in the shoe is cruelty free. Suitable for both formal and casual wear, these vegan Chelsea boots really are a fine pair to add to your wardrobe. Will’s vegan shoes are truly the pinnacle of vegan footwear. Not only are all of their shoes ethically made and cruelty free, but they are also incredibly stylish. 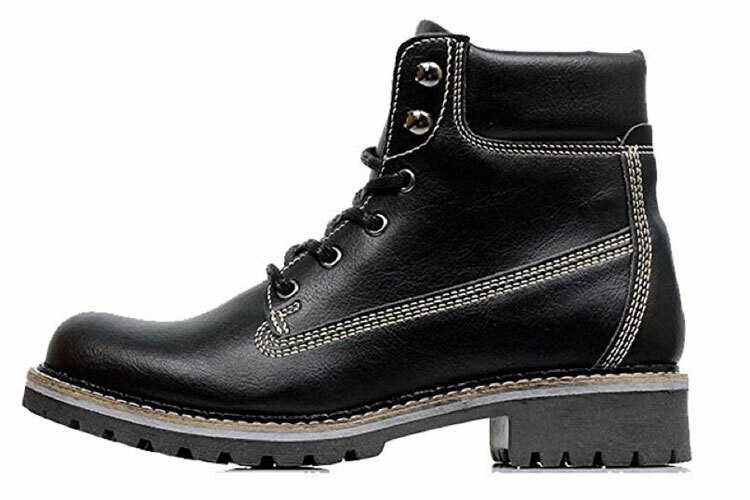 If you’re looking for some sturdy boots for the winter or work, then your search is over. These ethical boots are made out of water-resistant and breathable vegan leather that acts just like real leather without the animal cruelty of course. 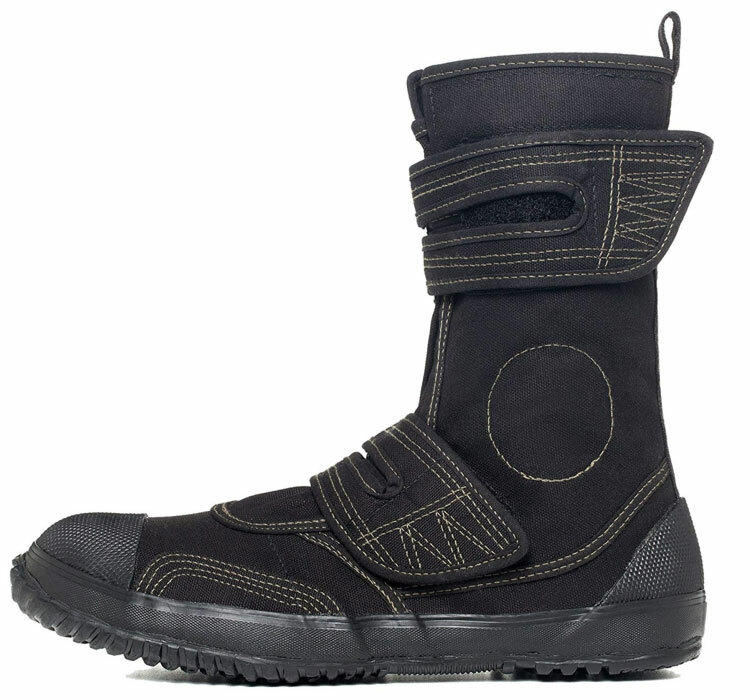 This means that you can have durable and heavy duty boots without having to give in to leather made shoes. In addition to this, these shoes are also officially approved by PETA, which means that none of the shoes that the company produces contains any animal materials or by-products. Just 100% animal-friendly shoes for that rival even some of the top designer brands out there. 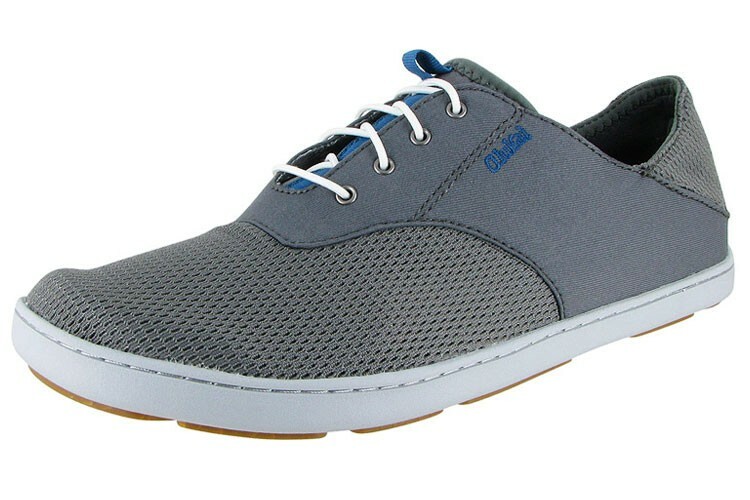 No matter if you’re looking for some casual shoes or something to match your active lifestyle, these multi-purpose shoes by OLUKAI tick both boxes. According to the manufacturer themselves, these shoes are inspired by the feeling of bare feet in wet sand. This means that all of their shoes contain an incredibly comfortable inner footbed that can also be easily removed for washing or drying. Featuring a fully synthetic construction, these shoes can be worn in water for water sports such as jet skiing, paddle boarding or just walking along the beach. Their highly breathable material allows them to dry very quickly while remaining comfortable. If you’re planning on hitting the beach or doing a lot of water activities this year, then these would be a great investment. There’s nothing wrong with investing in a quality pair of formal shoes, especially if you’re going to be wearing them a lot. 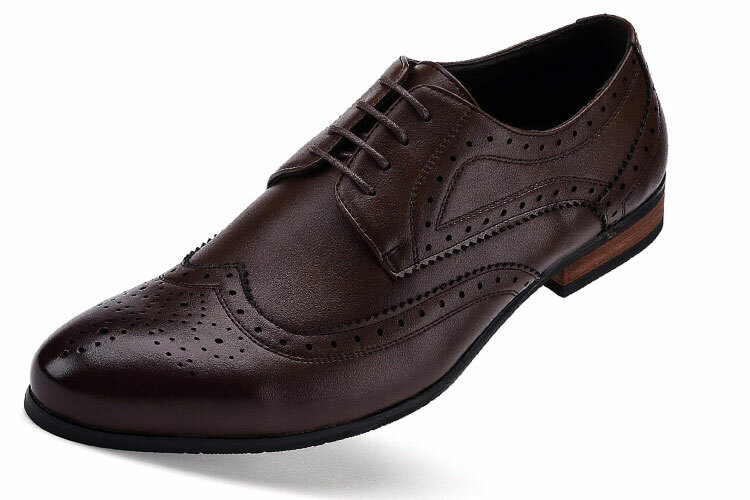 Most formal shoes can usually look a bit cheap and unprofessional, but these classic oxford shoes by Bourgeois Boheme are truly a masterpiece. As you can probably tell, the guys at Bourgeois Boheme don’t do things by halves. That’s why all of their dress shoes are handcrafted in Portugal using the finest Italian faux leather (aka synthetic vegan leather). They still have the appearance of a real pair of designer dress shoes, but thankfully, no animals were killed or harmed during the making. If you want a pair of formal vegan shoes that are sure to stand the test of time, then you won’t find higher quality than these. Inspired by traditional Japanese work boots, these boots have been supercharged thanks to advances in modern technology. Made entirely from breathable canvas material and recycled rubber, as you’ve probably guessed, they’re 100% cruelty free. In addition to being made from a breathable material, they’re also water repellent, super lightweight, and even contain a steel toe cap for added protection. Quick and easy to put on, you don’t need to waste time tying laces with these boots. Simply pull the straps over and you’re good to go. Used by countless artists and professionals around the world including builders, cosplayers, bikers and athletes, these boots truly are multi-purpose. With rave reviews describing them as the “most comfortable work boots ever made” they are certainly worth checking out. 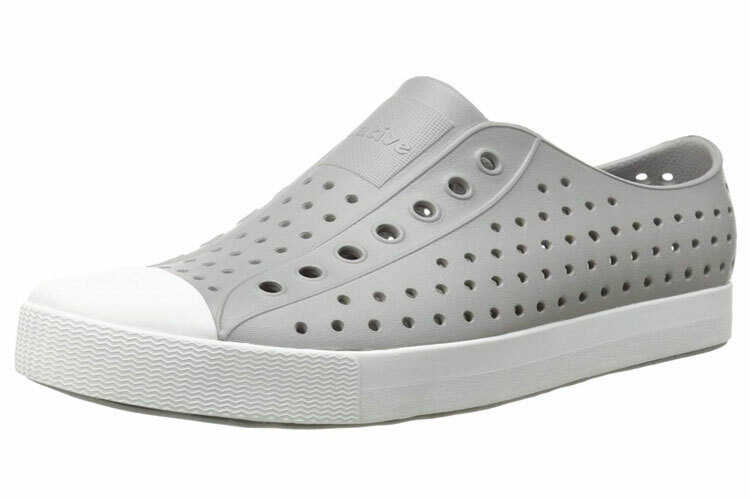 One of the most popular shoes in TOM’S footwear range has to be their classic slip-on canvas shoes. Built for maximum flexibility and comfort, these shoes are perfect for wearing around the house, on the beach, or in the sunshine. Not only have they become popular for their style, low cost and range of colors, but the company is also known for being very ethical and environmentally friendly. As previously mentioned, TOMS currently runs a children in need scheme where they donate shoes to children in need with every purchase. You don’t see many other (if any) shoe manufacturers doing that! 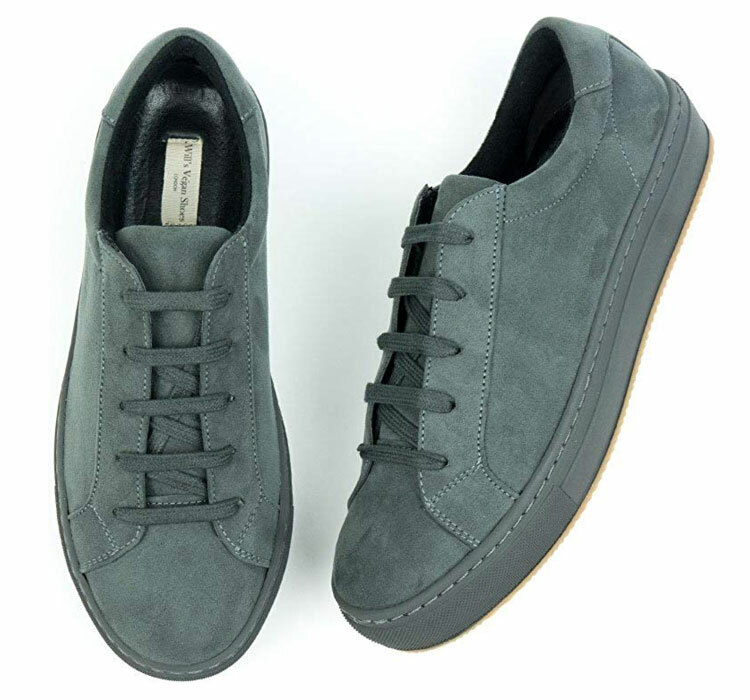 Another excellent pair of sneakers from Will’s Vegan Shoes, has to be these “suede style” low top shoes. Created from water-resistant and breathable vegan microsuede, these sneakers have the exact same look as traditional suede shoes but without any of the cruelty. Handmade in Portugal, the sneakers also feature hand-stitched cushioned insoles to gives them extra comfort. As listed on PETA’s ethical manufacturer’s list, you can feel safe knowing all their shoes are made without any animal products, child labor, or damage to the environment. Not only are these sneakers drop dead gorgeous, but you’ll also support one of the most ethical vegan companies on their quest to promote vegan fashion. Do animals a favor and say NO to traditional suede shoes. These timeless sneakers really are a must have for your wardrobe. Perfect for any style you want to pull off, these canvas sneakers are made out of 100% vegan materials. The main shoe itself is constructed out of breathable canvas material, while the sole is made from textured rubber to give you lots of grip when you need it. Unlike other brands that make similar sneakers, these are the only ones that are fully vegan and are considerably cheaper too! Available in various different bright colors, these sneakers are ideal for working out, yoga, active sports, or just walking around in. If you’re looking for some knee-high boots to spice up your wardrobe, then they don’t come more vegan than these! Made by the pros over at Will’s Vegan Shoes, these boots are handcrafted in Portugal from water-resistant and breathable vegan synthetic leather. The side zips make them so easy to get on and off, while the breathable lining also helps stops your feet from overheating. Combined together they are the perfect combination of durability and breathability. Made by the PETA approved manufacturer Will’s Vegan Shoes, you can wear them confidently knowing that no animals or children came to harm during their assembly. Buying the right shoes for work can be particularly tricky, especially when you’re looking for cruelty free footwear. Most heels and boots contain leather insoles, suede lining, or some kind of animal by-product holding them together. 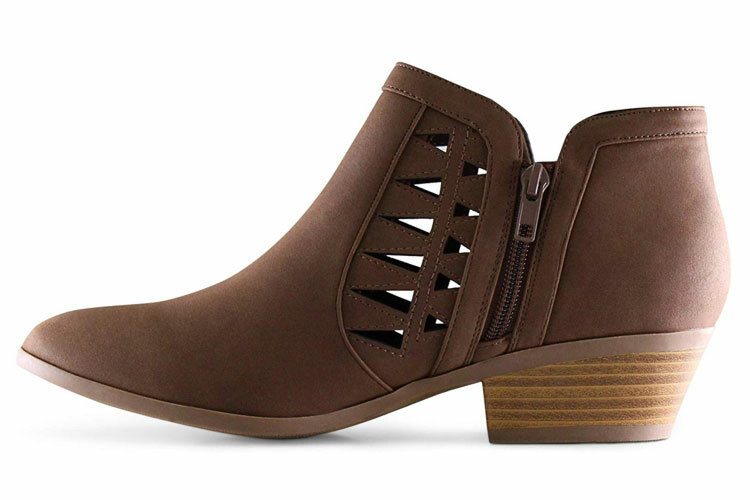 Luckily, these vegan ankle boots by Marco Republic will put an end to your search. 100% cruelty free and made using no animal products at all, you can finally get a pair of nice vegan work shoes. Featuring a 1.5-inch heel and side zip for easy access, these shoes are made out of faux leather which looks almost identical to real leather. You get the same amazing quality without any cruelty to animals. Available in several colors including brown and black, these are the only vegan work shoes you’ll need. When it comes to winter boots, you don’t have to resort to buying anything that is made out of leather. Thanks to the advances in technology, there are plenty of ethical boots out there that offer you the same (if not better) warmth and comfort as traditional boots. An excellent example are these cosy boots that will definitely keep your toes warm during winter. Unlike similar shoe manufacturers (who will not be named), these warm boots by Camel Crown don’t contain any leather, suede, or other fluffy animal by-products to make them. They only contain vegan-friendly materials that do a just as good job. Produced in two colors of Chocolate and Black, whoever said you need to spend lots of money on overpriced designer brands? Do animals a favor and ditch the fur. Looking for some serious heels? Then these are the boots for you. 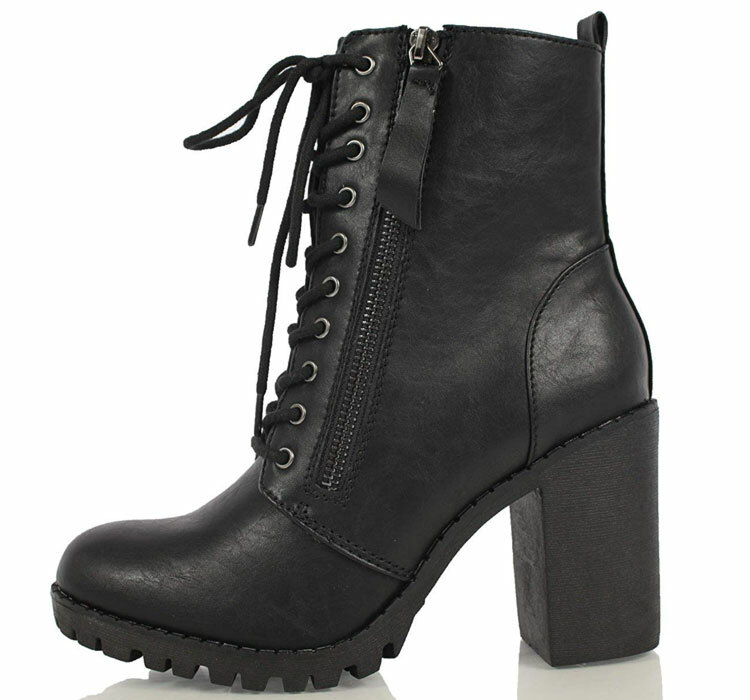 Featuring 3.5-inch heels, these boots are sure to give you some extra height. Made by SODA, these boots are 100% manmade from vegan materials such as synthetic leather and rubber. Although they have a leather appearance, no animal skins or by-products where using during the creation of these shoes. Instead, they just contain lookalike materials that look almost identical to the real thing. If black is not your color, then don’t worry. 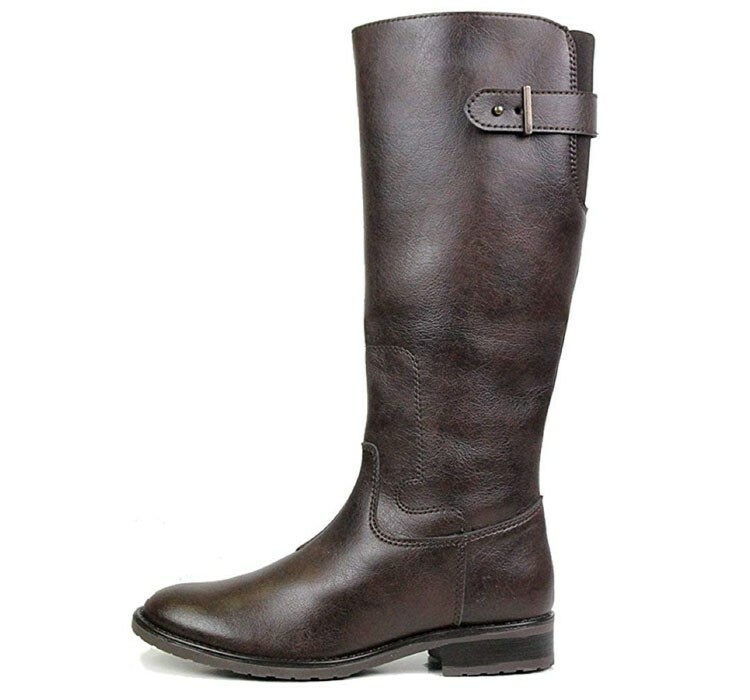 They also make the boots in 2 other colors including brown and tan which means you have plenty of options to choose from.